A Gift Card that can be e-mailed to you or to anyone you know. ALL GIFT CARDS ARE FREE SHIPPING! Just select the amount minimum $10 (when entering in a dollar amount do not enter a $) and enter the delivery e-mail address and your gift message - and we will e-mail a Cook's Warehouse gift certificate (which can be used for on-line purchases, in our stores or for classes) to that e-mail address. Great as a gift or a thank you. 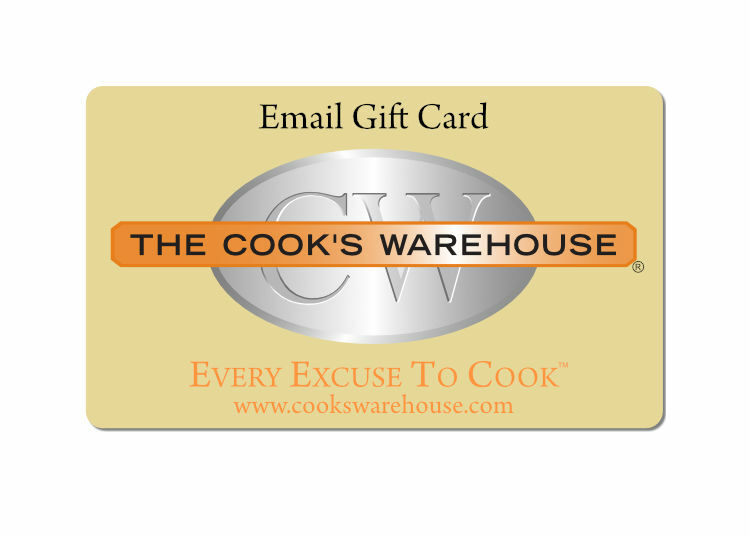 Please check the Terms and Conditions that apply to Cook's Warehouse Gift Cards for additional information.